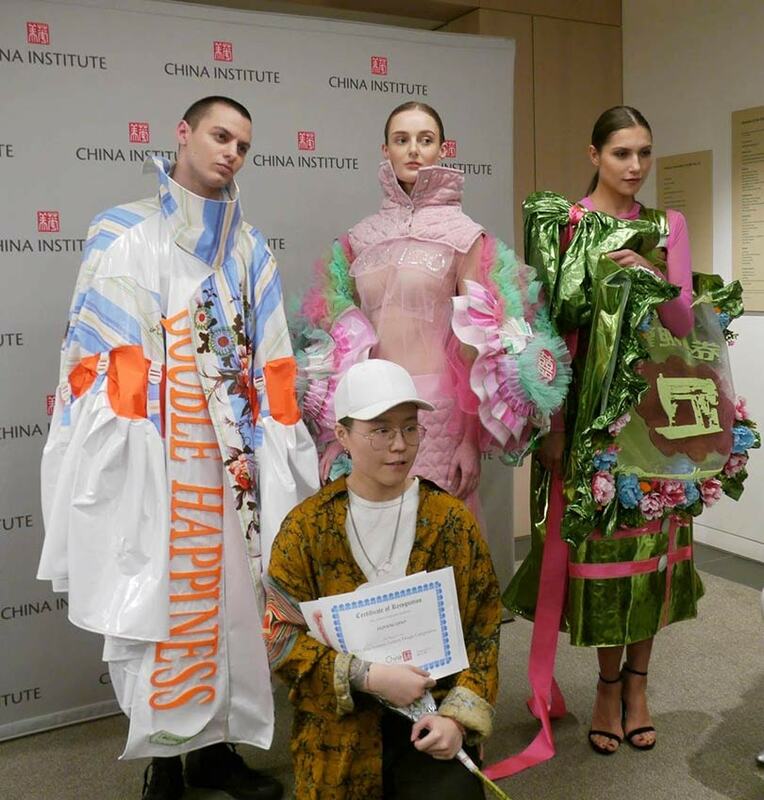 China Institute held its 2019 Fashion Competition at the weekend showcasing collections of 11 young designers working in NYC and inspired by Chinese traditions, art and culture. The runway show was preceded by a panel event on the topic “China Cool; How next gen designers are defining a new culture,” participants of which were Harlan Bratcher of China’s largest retailer, JD Fashion, Hazel Clark of Parsons, Simon Collins of WeDesign.org, Anqi Jiang, 2018 competition finalist, and fashion writer Mary Wang, The five were fresh from their backstage deliberations to determine the winning designer. What it means to be Chinese today? Themes behind the collections presented an intriguing window into contemporary China: Demolition, the one-child policy per family, marriage, tai chi, water, migrant workers, and celebrity culture. These creatives are confronting the multi-faceted identity of the ever-evolving, influential country of their birth. They are navigating two cultures, experiencing the fast pace of change in China through their studies in the fast-paced world of New York fashion. “New York Fashion Week is practically 30 percent Chinese now,” remarked Simon Collins during the panel, yet the appeal of returning to China after studying in the US is an increasingly popular option for young designers who want to be part of the new China.